Cherry Creek High School’s Austen Mazenko and Fairview High School’s Hongyi Chen won top honors among 186 competitors in the 35th Colorado Mathematical Olympiad. The winners were recognized during the awards ceremony May 4 in Berger Hall on the UCCS campus. The Olympiad featured 186 students from 28 cities across Colorado for the competition April 27. Students needed to solve five essay-style problems in four hours. A panel of judges selected the first, second and third prize winners, along with first and second honorable mentions. Support for the Olympiad was provided by Colorado Springs School District 11, Academy School District 20, Springer Publisher, Mu Alpha Theta Mathematics Honor Society, Greg and Mary Hoffman, Robert and June Ewell, UCCS Chancellor, UCCS Provost, UCCS Dining and Hospitality Services, UCCS Bookstore, UCCS Parking and Transportation Services, U.S. Senator Cory Gardner, Colorado Governor John Hickenlooper, Colorado Springs Mayor John Suthers and Alexander Soifer. 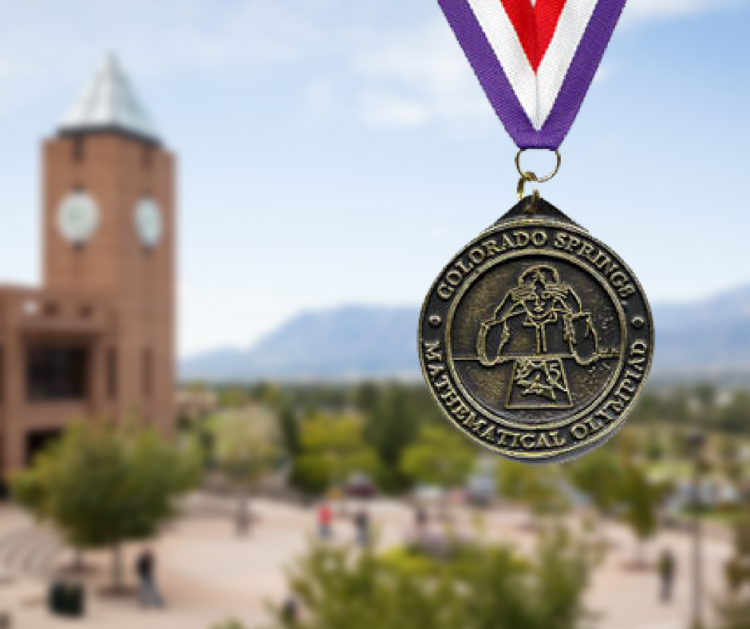 In the 35 years of the Colorado Mathematical Olympiad, approximately 20,000 students have participated. They have written more than 96,000 essays, and were awarded over $409,000 in prizes. The Olympiad is a unique joint effort of school districts, schools, industry, University of Colorado, and city, state and federal governments. The 36th Colorado Mathematical Olympiad will take place April 26, 2019. The award presentation will take place May 3, 2019.